Since July all models come with the upgrade. This includes internal wiring with Furutech cabling, passive speaker models get better crossover parts and improved damping and active speakers get AHP fuses. The result, says Daniela Manger, is “more coherence, more structure and the core performance of the Manger sound transducer benefits with an improved transient resolution”. 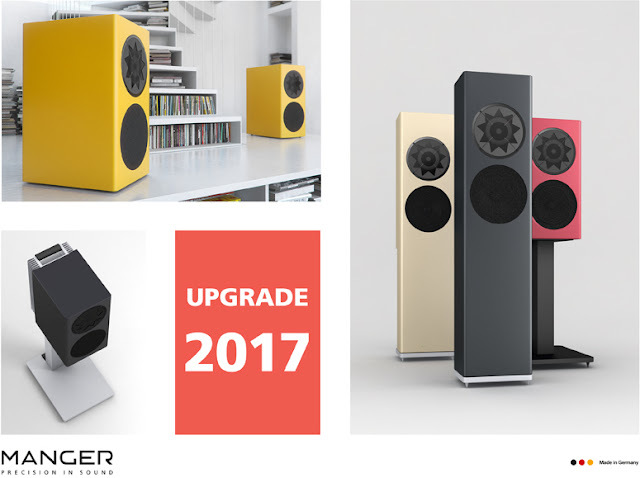 The costs of the upgrades are EUR 1000 per pair for the passive models, EUR 1500 per pair for the active speakers.